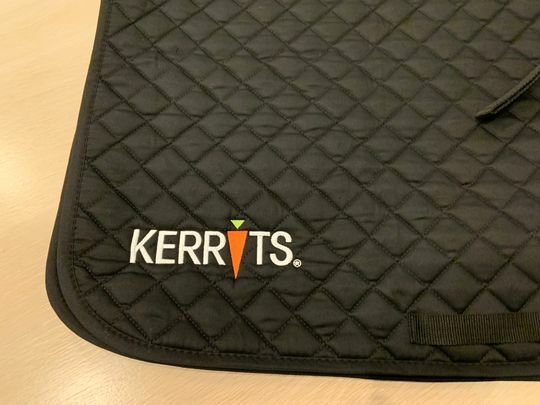 A perfect schooling pad enhanced with Kerrits embroidered logo. Designed to fit most all purpose and close contact saddles. 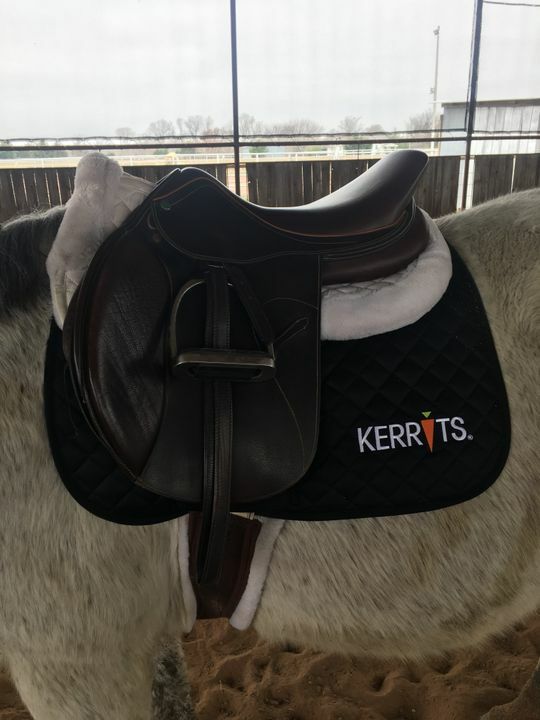 This pad is softly quilted with plenty of cushion; and sturdy billet and girth straps to keep your saddle in place while you ride. I absolutely loved the quality, and how neat it was. I can't wait to use it! Thanks for the praise - we hope you both enjoy ! A great quality saddle pad! This saddle pad is made of really nice material that I haven’t had in other saddle pads I’ve purchased. I’ve also noticed some more padding around the front of the pad where my saddle rests on my horses withers which is a super nice touch and makes this saddle pad different from others!! Love it so much! Thank you - we are glad this is working for you and your partners. Enjoy.